Deloitte overtakes PwC to become worlds' largest firm with growth of £29.52bn. PwC in second with £28.79bn. EY and KPMG place third and fourth respectively. 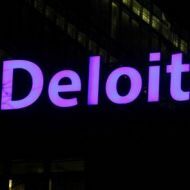 Deloitte has overtaken PwC as the biggest accountancy firm in the world, after reporting revenue growth of US $36.8bn (£29.52bn). 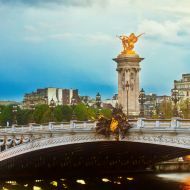 The Big Four Firm's global fee income grew by 5%, which meant it re-claimed its crown after being dethroned by PwC last year. PwC currently sit in second place after bringing in a total of £28.79bn, a 2% improvement on the previous year. EY saw growth of 3% to £21.35bn which puts it in third place, sending it ahead of fellow Big Four firm KPMG which saw 4% growth with fees totaling £20.39bn. BDO rounded off the top five, reporting 4% growth to £6.1bn. Speaking last year, David Sproul, Senior Partner and Chief Executive of Deloitte, said: "We have unparalleled breadth and depth of services and I’m proud of the many things we’ve achieved in FY16. "Our results are testament to our ongoing commitment to innovation, adapting to new and changing markets and attracting and retaining the best talent. "The Brexit vote introduces new challenges; we are confident in our ability to navigate this time of upheaval." Last year PwC overtook Big Four rivals Deloitte to become the world's largest firm after reporting its highest growth in the Middle East and Africa (16%), and in India (17%).